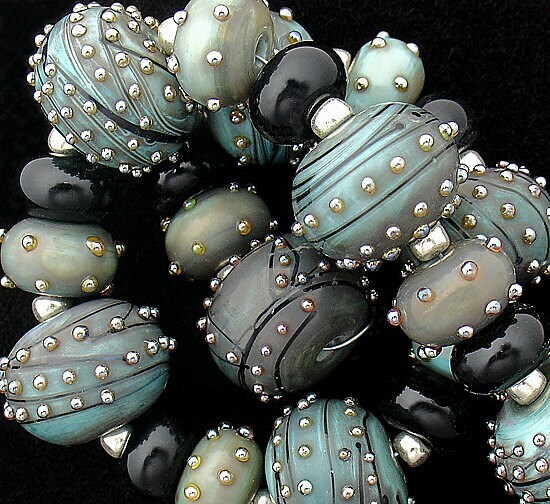 A beautiful set of 8 glass beads made in a base of copper green. Handmade spacers are included. 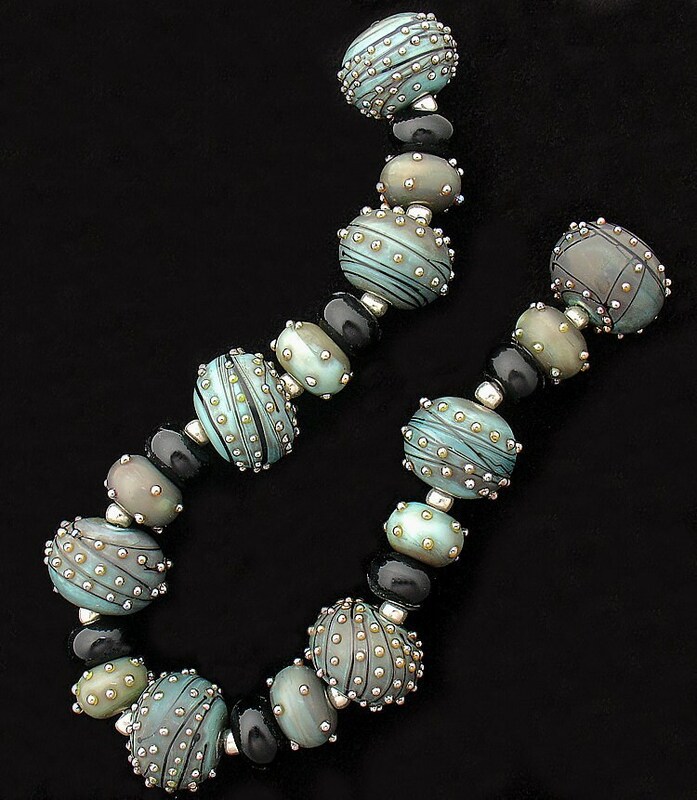 Accents include silver glass dots and detailed black stringer work. Measurements are roughly .65" (16 mm) in width for each larger bead. Please note that this particular color is very unique. Depending on any given batch of glass, colors can range from distressed minty greens with shades of gray to more vibrant minty greens with less distressed grays streaked through the color. 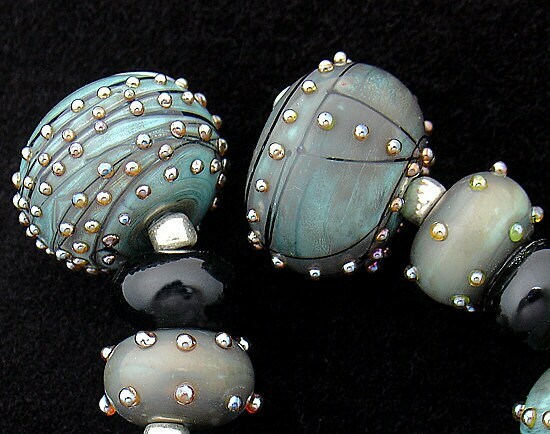 Please allow up to 4 weeks for me to create your beads. 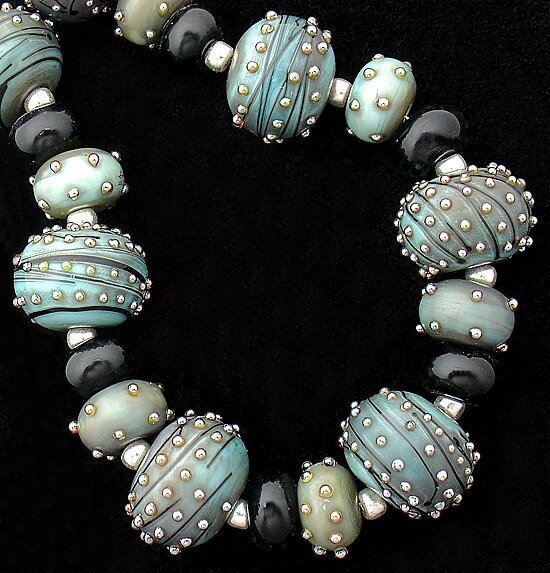 If I need to order any special items for your beads, then that may increase the 2 week time frame. Very satisfied. Would definitely recommend your shop and I'm sure I'll be back for more later! Beautiful design, beautiful, fine work. Thanks. Arrived today (11/22) - most beautiful!!!!! !